Today the school psychologist walked into the room where we were having our IEP meeting, saw me sitting at the table, let out an audible sigh and turned around and walked out. I am not kidding, this really happened. Of course, we have a history and that history includes him not wanting to hear anything anyone has to say about scores, eligibility, goals or dyslexia. He is the fast-talking wordsmith (used car salesman?) in an IEP meeting. He is the kind of guy that talks in circles so most parents, who don’t have support at IEP meetings, are given very little opportunity to question his decisions because he won’t allow it. He is unable to think flexibly and does not like it when there is someone in the room who knows more than he does – he is the expert, no wait, he is the dictator. I have been to all kinds of IEPs. There are the super liberal, hippy-dippy, warm and fuzzy IEPs where everyone brings food, works together, respects each other and does what it takes to provide the appropriate services. At the end we all hold hands and sing Kumbaya. Then there are very democratic, polite meetings that are measured but productive where there might only be bottles of water on the table and friendly handshakes, but not a lot of socializing. Then there are the dictatorships. These are the tough, uncomfortable meetings where the school is making it clear that they are in charge, they are the experts and quite frankly, they have already determined the outcome of the meeting. This is when you need to be tough, not rude, but tough. Here are some tips on how to handle the IEP meeting where your voice is not being heard or you are not being permitted to contribute to the meeting in a meaningful way. This is just flat-out, not okay. Any predetermination of services or eligibility is eliminating the parent participation that is not only imperative, but not allowed by IDEA. There can be preplanning but not predetermination and if the school seems unwilling to listen to ideas alternative to theirs, then predetermination may be in effect. Any eligibility determination is to be made by the team, and that cannot happen without parent input, because the parent is part of the team. When this happens, kindly remind the team that there is supposed be a discussion regarding qualification, any predetermination is contradictory to IDEA regulations regarding participation. But beware of the superficial effort by the IEP team to include you, if you do not feel like your opinions are really being considered, do not sign the IEP and if the IEP has a line that says “parents were given the opportunity to participate” do not sign it. They read through the testing at a breakneck pace and seldom stop for your questions and clarifications. It is important to remember that IEP teams hold these meetings all the time, so the language and scoring is second nature to them. But sometimes, I think they do it to prevent any questions or clarifications. For example, today a CTOPP-2 score was presented at 89 and listed at Average. When I politely pointed out that the a score of 89 on the CTOPP-2 was actually Below Average he scoffed and said, “I will change it, but it really isn’t that important. Will it make you happy if I change it?” Well, yes, yes it would. Because it does matter and if there are more careless mistakes like that, I will continue to point them out. 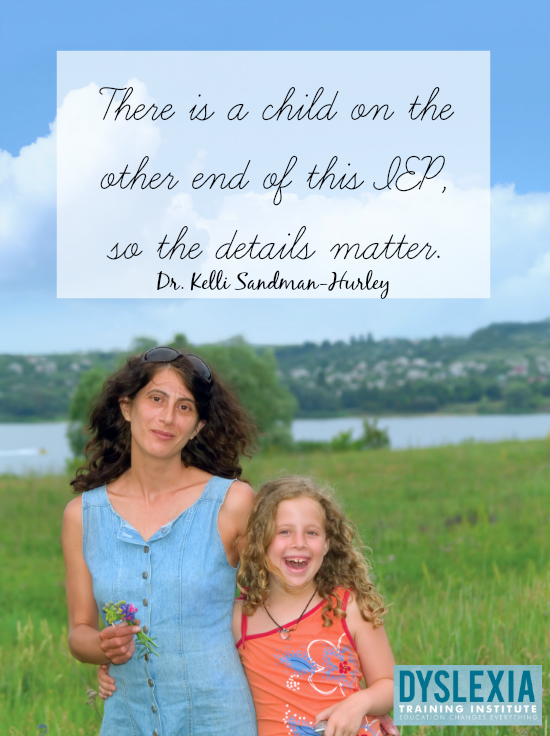 There is a child on the other end of this IEP, so the details matter. He also added that he was just using the general index of 80-115 being in the Average range, you should know that anyone conducting testing is required to use the labels set forth in the testing manual and they cannot change them, ever. As you sit down to the meeting, you are informed that you have one hour to complete the meeting and it needs to be completed by the end of that time frame. Never, ever feel rushed. This is a legal document that has great implications for your child. You might empathize with the IEP team and their large, unmanageable caseloads, but not at the expense of your child. So, take your time. Ask questions. When the time is up, sign for attendance only, and schedule a second or even a third meeting until everything is right. *A few states do not require a parent signature to initiate the IEP, so make sure to check your state’s regulations. There is no doubt that it can be really difficult to stand up for your rights in situations like these, but it imperative that you stand your ground and keep everyone honest. 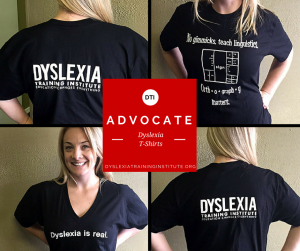 This entry was posted in Advocacy, Special Ed Law and Dyslexia on May 11, 2015 by Dr. Kelli Sandman-Hurley. My son is dyslexic, of course the school knows he is and refuses to put in down as a diagnosis. The school says they can not diagnosis it. We live in Ohio who just passes a law to screen all school.age children by the 2nd grade. We did also feel very rushed in the IEP meeting. I have learned alot from doing research and following blogs and your site. I can not tjank you enough for explaining.the big bad “D” word most educators don’t even want to say. I have lived all those suggestions plus hired an advocate & attorney, but sadly my son was still refused an IEP; though he has the perfect storm: dyslexia, dysgraphia, adhd, and chronic allergies (congestion & poor sleep). It seems he is only missing the skin rash, that makes up the cluster of 5 markers which sit close together on a gene. So, it took an attorney, to barely get a 504 plan from the district; and a sort of “what would it take for you to go away for awhile?”. And only that, because the district committed a legal faux pas in refusing to review our Independent Evaluation. Whoops. You don’t have to accept it, but you do have to review it. Someone at the district missed that. It was an evaluation from a neuropsychologist we had paid over $4,500 for. I think what I want to say, is there comes a point, as a parent, after you are so financially and emotionally tapped out and numb, that you have to sit back, take a moment or two, and ask yourself, is this fight really worth it? We have found that it’s not. We were left to home school, and now private school which is geared for these types of learning differences. Where you don’t have to fight for the most basic of educational rights. It is often a broken and dysfunctional system. It may be a dictatorship, but you can move to another country. Is the people in the school truly do not know the laws. Every school should be trained like ” wrights law ” boot camp. They truly create their own laws and say ” we interpret the law differently “. They have totally forgotten about the value of the child. To them— they really just expect that a certain amount of kids are just not going to do well at school. They are ” off the hook” as they have lost the value of a human being – a child and a family. They can’t even see it and honestly believe they are right. Some schools are excellent but they usually have the financial resources , great leadership and professional development. It is not a hardship for them to help. It is sad when they view the parent as the ” enemy” or worse when they retaliate on the child. Somehow the private clinics and outpatient centers are light years ahead in treatment , methodologies and current brain based learning techniques. As a special education teacher, I am so truly sorry that anyone has ever made you or your child feel unimportant. I see all of my students as my personal children (I very likely will never be able to have my own) and it personally bothers me when other teachers or personnel treat them as an inconvenience in any way. I cannot even fathom how it feels for an actual parent. Again, I am truly sorry. You can put it in at the parent’s contribution to the IEP if the others refuse. Even then, the psychologist flipped her lid, but my advocate told her she can’t dictate what I put in, so I did. Therefore it forms part of the legal document. 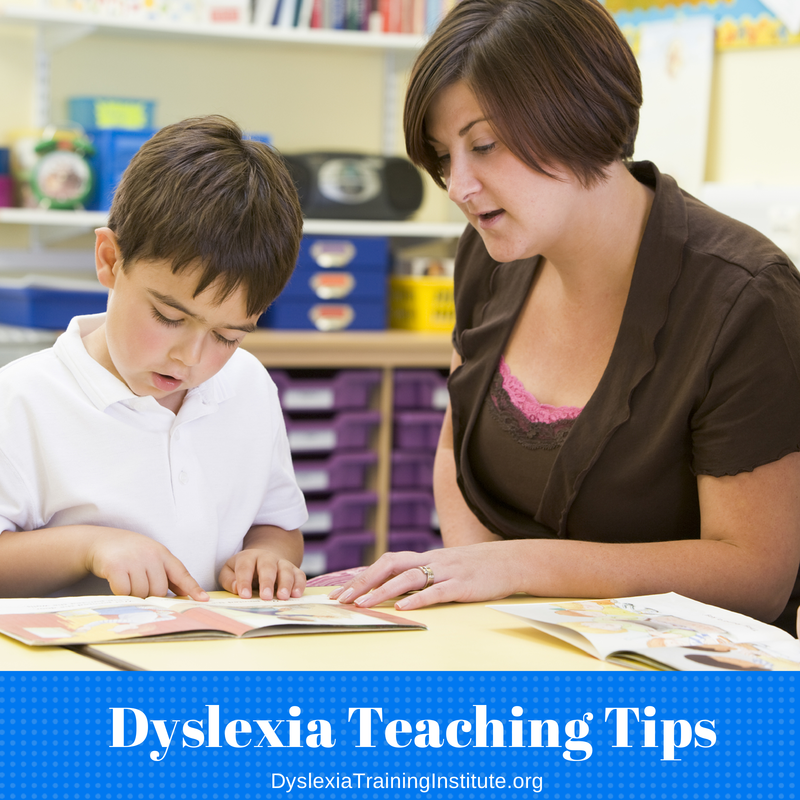 I’m a speech pathologist in the public schools and the mother of a severely dyslexic child. I believe what you wrote in this blog is incorrect. Assessments can and do determine eligibility for special education services and can be written before the IEP, and these assessments can and do say that the child does not meet eligibility requirements and therefore does not qualify. The IEP team then takes this information into consideration when making the offer of FAPE (Free and Appropriate Public Education) but rarely will they qualify a child whose scores are not low enough. The parent is then asked if they agree, and they can sign the IEP or not, but if they do not sign and the scores are not low enough, there really is no recourse. If a child does not qualify, they do not qualify. I am the mother of a severely dyslexic child. I am also a speech pathologist in the public schools. You are doing no one a favor by continuing to characterize the public schools as uncaring, lazy educators. My experience is that people like you are ill-informed and don’t understand the nuances of what is happening both with the assessments and your child and only point fingers and complain because that’s what you can understand and do. We in the public schools care deeply about the children with special education needs–that’s why we work in the field. We help a huge amount of children every day–and not by trying to get away with as little as possible. We are dedicated and put in long hours. Assessment results don’t lie. Numbers are numbers. If you want to create an argument that your child should qualify even though their numbers are above eligibility criteria, you can do that. You must research why and present a good argument. Any IEP team must consider your argument, and many would accept it. With regards to Dyslexia, it’s about more than numbers. 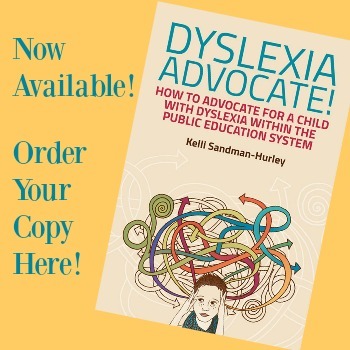 Federal law is clear about dyslexia being included as a disability. I’m an SLP, too. It is irresponsible to not look at the whole child. There is criteria, but professional judgment is allowed as well. Also, I want to point out that during any IEP meeting, if they are going too quickly or you do not understand something, you have the absolute legal right to tell them to slow down and explain things to you until you understand. If they are not nice people, they may try to make you feel bad for doing so, but that is not your problem–they need to explain things to you so you understand and are comfortable. 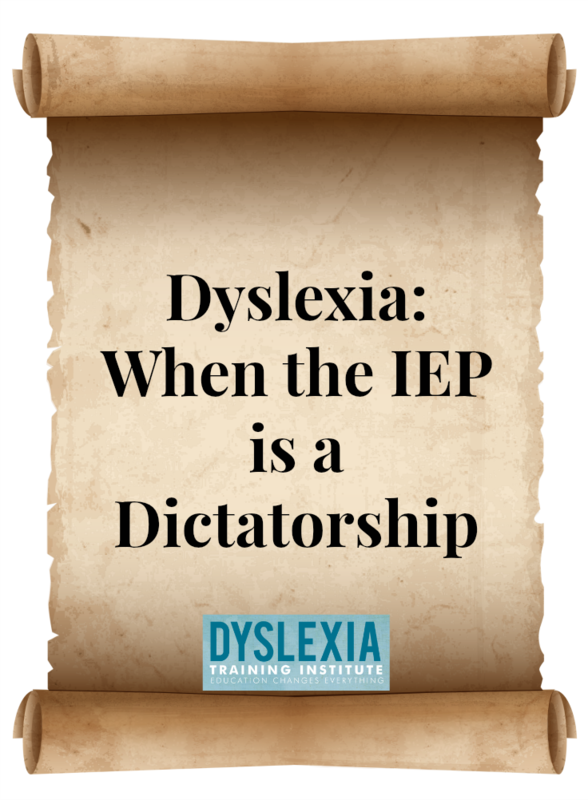 As a Special Education teacher and budding advocate who has dyslexic and a variety of other disabilities, I think the article isn’t fully accurate and gives the impression that the dictator is the norm everywhere. I realize that things are not perfect out there, but the feeling in the article was this is norm. I want to make sure that team members understand that it is individual as the students in the process. I have worked with all kinds of team members and parents. Neither side has been 100% willing to be flexible or work collaborative. The site school staff is not always the inflexible ones even when services are offered; some parents will ask for things that are not appropriate to the type of disability a student has; more isn’t always better. Keep in mind the site team maybe dealing with willingness to give services is coming from above; in other words, we get caught in the middle and get the brunt of the unhappiness which is miss directed. I am very clear that what I propose is just that a proposal based on observations, assessments, interviews and work samples. Even when a student doesn’t qualify under basic eligibility, the team can fill out the alternate form if they feel the student’s needs warrant it. I have done in numerous times. It comes into play in instances such as when a student is just of the eligibility line, and all their siblings have had the same difficulties which shows a possible family history; it comes down to looking at intervention in what is a pattern in that child’s reality. If scores are not correct, you should say something as depending on what it is, and if it is an area of concern, it needs to be looked at once it is corrected. Please in the future, don’t lump team members in one way. it doesn’t serve anyone well; we are individuals as well as team members(we can’t always control those we have been put on a team with or pressure coming from above). I am sure you would want us to lump children such a way. Remember an IEP team is about collaboration process, all the players need do to their part to make things work, and it is about what is best for the child.